Import of petroleum products rose by 18.27 per cent in 2015 to 4.4 million metric tons (MT) last year. This is in spite of the fact that national consumption of those products dropped by 5.64 per cent in the same period under review. Data from the National Petroleum Authority (NPA) showed that after consuming 3.53 million MT of refined petroleum products in 2015, the country’s total consumption of premix fuel, gasoil, fuel oil, kerosene and liquefied petroleum gas (LPG), among others, declined to 3.33 million MT last year, on the back of the reduced economic activities within the period. The excess imported refined products were consumed by the export market, which witnessed a 400 per cent growth to 532,803MT last year. The exports were mainly to the country’s West African neighbours, including Mali, Burkina Faso and Nigeria. 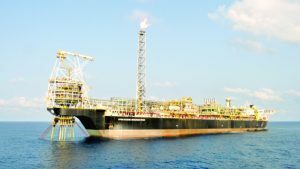 The paper learnt that exports to Nigeria were inspired by challenges with its national refineries, which forced Africa’s largest oil exporter to fall back on Ghana’s Tema Oil Refinery (TOR) for refined petroleum products to make up for its domestic demands. In its 2016 annual report, the Chamber of Bulk Oil Distributors (CBOD), a grouping of bulk oil distributors,said the private sector, comprising 14 petroleum service providers (PSPs), handled 53 per cent (282,989MT) of the exports last year, with TOR handling the remaining 47 per cent (249,814MT). Although the strong growth in petroleum products is good news for the economy, given that it impacts positively on the country’s foreign exchange basket, the CBOD report expressed mixed feelings about the development. “In the light of the reported cases of product ‘round tripping’, it is unclear whether the growth in exports was driven by real market or fraudulent market activities,” it said. ‘Round tripping’, which is a market manipulation activity, occurs when companies sell their own unused assets to other companies, mostly their subsidiaries or joint ventures, to help inflate their trading figures falsely. The 5.64 per cent drop in the consumption of refined petroleum products, known as white products, is the second and largest year-on-year decline since 2009. The decline was the combined effect of a 7.31 per cent and eight per cent decline in the consumption of gasoil and gasoline respectively. Consumption of gasoil and gasoline accounted for 85.19 per cent of total national demand last year. The CBOD report showed that while demand for gasoil dropped from 1.9 million MT in 2015 to some 1.77 million MT last year, that of gasoline fell from a record high of 1.16 million MT in 2015 to 1.07 million MT in 2016. “This marked the ﬁrst fall in demand since 2010. The recorded 2016 demand estimate is lower than demand in 2013, 2014 and 2015,” the report said, noting that the sudden break in demand growth raises a lot of concern. Consumption of LPG and aviation turbine kerosene (ATK), however, witnessed a 0.88 per cent and 17.91 per cent increase. The uptick in consumption of ATK was influenced by the reduction in prices of the product through the removal of the price stabilisation margin. Intermittent supply challenges experienced by airlines in Nigeria last year also meant that majority of the Nigerian airlines relied on the Ghana market for ATK to power their aircrafts. From the CBOD report, the private sector maintained its lead role in the distribution of petroleum products in the country, in spite a four per cent fall in the sector’s market share of imports. It showed that state institutions such as the TOR and GO Energy increased their distribution shares from 20.72 per cent in 2015 to 24.9 per cent last year. This caused the market share of the private sector to decline to 75 per cent in 2016, down from the 79 per cent in 2015. “This drop (in the market share of the private sector) is also attributed to the unfair market conditions of covert subsidies perpetuated by the government in 2016 to the beneﬁt of GOIL through BOST,” the report alleged. GOIL, BOST and GO Energy, all state-owned enterprises, maintained their lead roles in their respective sectors, according to the NPA and CBOD data. While BOST handled 49.92 per cent of the year’s total imports, GO Energy and GOIL wholesaled and retailed 22.14 per cent and 18.2 per cent of refined fuel respectively.